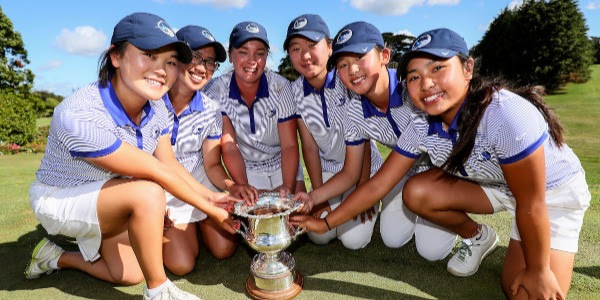 The 2019 Women’s Toro Interprovincial tees off tomorrow with a new-look Auckland side aiming to continue their dominance, this time in Canterbury’s back yard at Waitikiri Golf Club. Auckland have won six of the last seven women’s Interprovincial titles, but travel to Christchurch having lost a large amount of experience. This week’s side led by Carmen Lim and New Zealand Amateur champion Vivian Lu have an astonishing average age of just 13.8-years-old. Miree Jung, Grace Jung, Fiona Xu and Kelly Wu round out their Auckland side and will be looking to fill the successful shoes of Brittney Dryland, Caryn Khoo, Siyi Keh and Rose Zheng who are unavailable this year. After Canterbury made the semi-finals in the men’s Interprovincial last week, their women’s side of Juliana Hung, Hillary O’Connor, Catherine Bell, Olive Tapu, Amy Weng and Maddie May will be aiming for the same achievement and more. Their number one in Hung has enjoyed a large amount of success in 2018 after becoming the New Zealand Stroke Play champion earlier in the year. This was followed by mountains of international travel so the 16-year-old will be hoping to help Canterbury back into the winners circle much like three years ago in Ashburton. Hung, O’Connor and 2015 player of the tournament, Bell were all part of that winning side, but are now playing in the top three positions and will be looking to use those memories and more this week. Manawatu-Whanganui will be aiming to improve on their 10th-place finish last year as they return with a strong looking side led by Tara Raj. She too has enjoyed a great summer after winning her maiden Jennian Homes Charles Tour event at the Harewood Open, followed by her Manawatu Open victory. The team will also go into the tournament in good form, having beaten Taranaki 10-2 in a warmup match at Te Ngutu Golf Club. It’s hard to feature all the teams with so much talent on display this week and with Waitikiri Golf Club setting the scene, it promises to be an exciting end to the year. Play will get underway at 7:30am.